Sarah Gayle Ballagh and Tyler Early connected through an online dating website. Tyler was slow to initiate a first date, but Sarah had the idea of enticing him with a Salem Red Sox game. She knew he wouldn't be able to say no to that, and she was right, but as it turned out, the game ended up raining out. Instead, the two decided to meet at Mac n Bob's for dinner. It right before their first date, the first time Tyler saw her walking down the sidewalk toward him, that he knew this was the woman he was going to marry. When Tyler decided to propose, there was no other place he could think to pop the question other than that same slab of sidewalk. The two even managed to get a game in, as Tyler had his and her parents both waiting for them at that night's Salem Red Sox game. 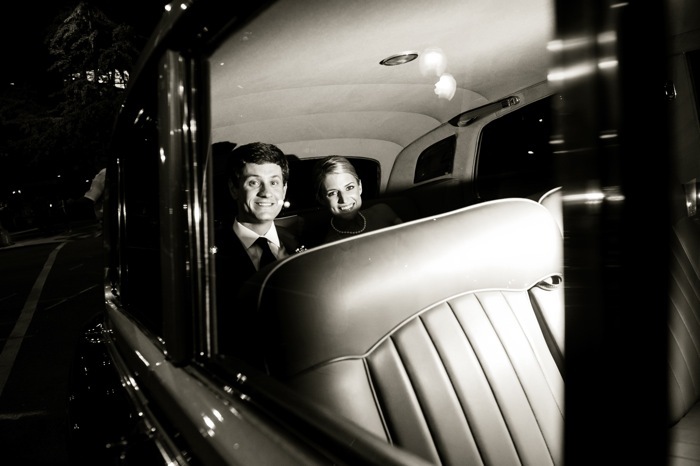 The couple spent the evening celebrating with one another, their parents, and America's favorite past time. Sarah's favorite color is yellow. 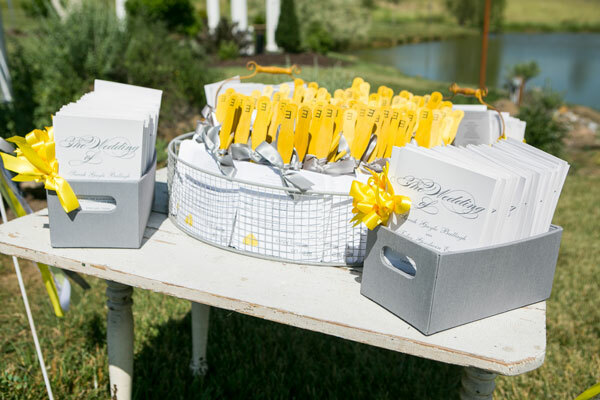 So it was no surprise to anyone when yellow became the focus color of the wedding. 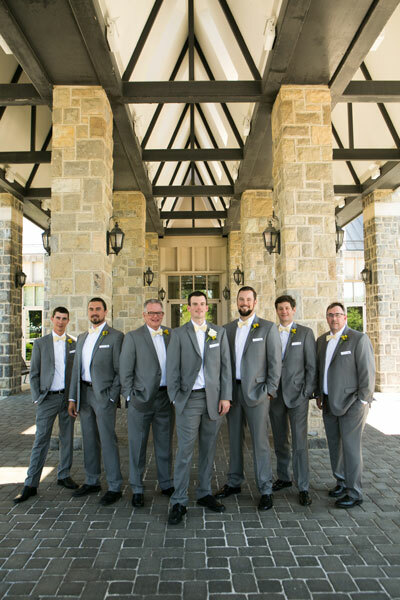 It was elegantly paired with the groomsmen's gray suits and the yellow tulip centerpieces fit in perfectly with their rustic barn venue. Sarah's bridesmaids each wore a yellow dress, and even Sarah herself dawned a yellow belt with her reception dress. 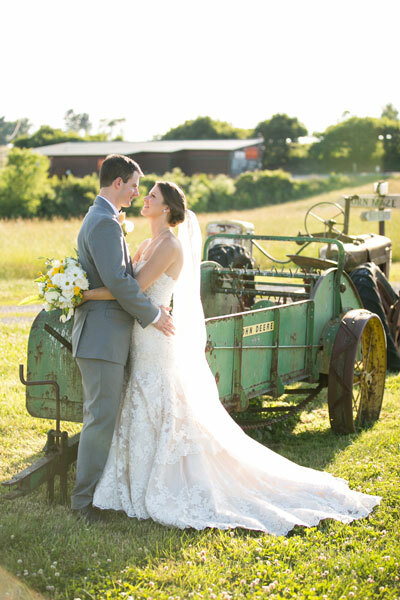 The couple was glad to share each moment of their wedding day with their friends and family. Sarah's dog was even able to make an appearance for a few pictures between the ceremony and the reception. The whole day was full of love and laughter, not wanting to leave a single person (or family pet) out of their day. 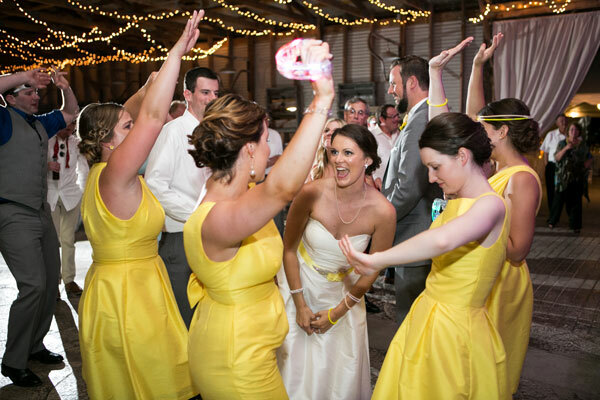 Their guests enjoyed themselves with garden games like badminton, corquet, and ladder ball and later flooded the dance floor to dance the night away. The atmosphere was inviting, happy, and wonderfully implemented. 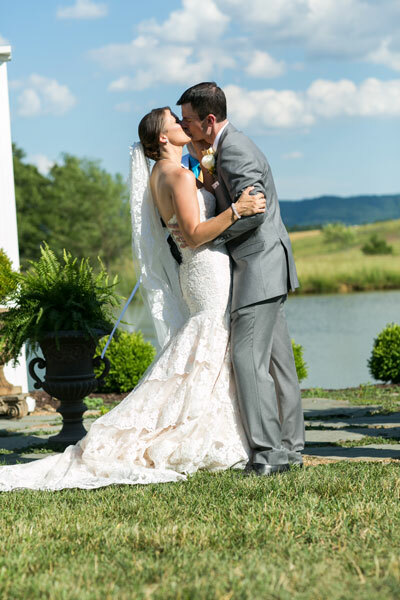 Sarah has been a member of the United States Army for 11 years, so it was important to the couple to honor her commitment and sacrifice, as well as the others in their life who serve. The couple chose to participate in the traditional military cake cutting, using an Army NCO sword. Names of family members in the military were listed in the wedding program, and they had a special dedicated flower arrangement on display at both the ceremony and the reception. 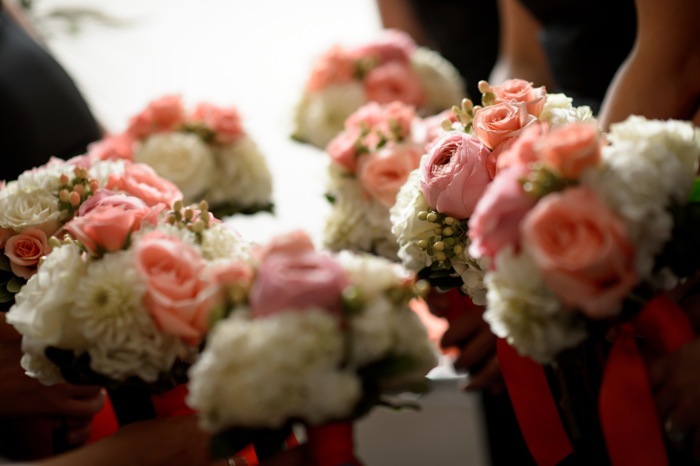 When planning a wedding it's hard to gauge what your guests will remember, and with so many wonderful and unique touches and heartfelt gestures the Early's put into their big day, there are many things to choose from. But, everyone is sure to remember the love and commitment that went into this couples wedding day. Make sure to see more of the Early Wedding on page 54 of bridebook! Lauren Early and Chris Maxwell met through a mutual friend and after seeing each other at several more gatherings Chris asked Lauren to a cocktail party. Despite the hundreds of miles between them, the couple has been inseparable ever since they began dating. Chris got down on one knee and asked Lauren to marry him as they were doing their traditional decorating their Christmas tree together. 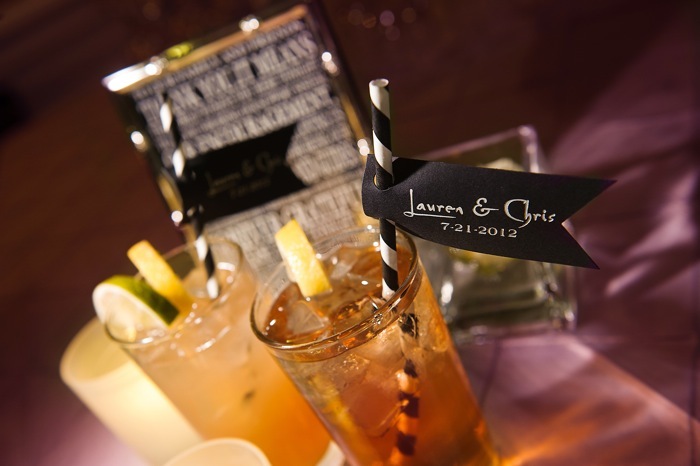 The couple had a southern black and white elegant wedding where they were surrounded by friends and family and a whole menu of comfort foods. The night came to a close with a bouquet toss and a sparkler exit. To read more about their love story and see more photos, pick up a copy of bridebook (on newsstands now) and flip to page 50!